In the video for her 2014 track “Biashara,” rapper Stella Mwangi, also known as STL, boldly addresses the viewer as she embodies a distinct fusion of her transnational roots. Mwangi, who was born in Murang’a, Kenya but migrated to Norway with her family in 1991, at the age of five, is an expert at blending the different aspects of her cultural and linguistic identities. In “Biashara,” a Swahili word which translates to business in English, she raps in two languages, showcasing her ability to easily move through the worlds of both Western and African hip-hop. This process of linguistic variation, known as code-switching, is a common feature of emcees in the African diaspora, who oftentimes seek to appeal to audiences from two or more cultures that they have connections with. In Mwangi’s case, her knowledge of Swahili and Kikuyu—a Bantu language spoken in Kenya—was reinforced by her father, who utilized music and poetry in the languages to preserve her connection to the family’s Kenyan heritage while she grew up in Europe. 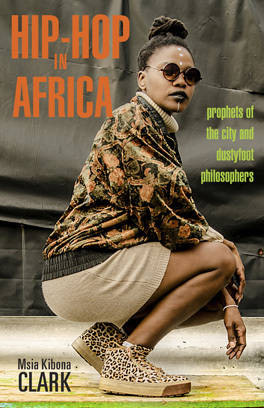 This connection to the African continent is evident in Mwangi’s work, as illustrated by her large Kenyan fan base and frequent collaboration with other prominent Kenyan artists, such as rappers Khaligraph Jones and Kristoff in “Biashara.” Her eagerness to engage with the Kenyan hip-hop scene, even as she finds success in Europe and around the globe, seems to reflect the importance of the music in shaping her identity as a young person, as she contended with racism and difficulties adjusting to a new life abroad. In fact, in an interview with OkayAfrica, she remarked that “hip-hop saved [her] life growing up in Norway,” and spoke about the significance of her introduction to the Kenyan music scene, saying, “I fell in love with Swahili hip-hop, when I heard it, I felt represented.” With her work, Stella Mwangi brings a new voice to the global hip-hop community, representing all those whose identities are influenced by stories of migration and cultural exchange.